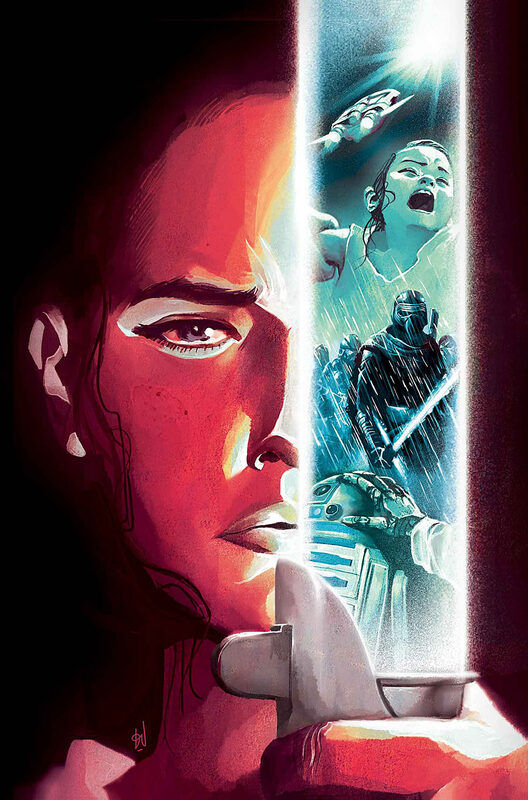 The Force Awakens #4 is out today from Marvel. Rey, Finn, Han and Chewie have reached Maz Kanata’s castle…but the Force is calling Rey to Luke’s lightsaber! Meanwhile, our heroes have been discovered! The First Order strikes!